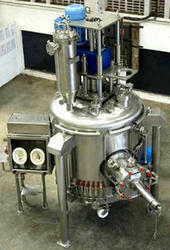 Agitated Nutsche Filter is a closed vessel designed to separate solidand liquid by filtration under pressure or vacuum. The closed system ensures odourless contamination free and non-polluting working conditions maintaining product purity and hygiene. Looking for Agitated Nutsche Filter ?